It’s not very interesting … yet, but here are my double chevron blocks for the two Mod-mod samplers I’ll be making. 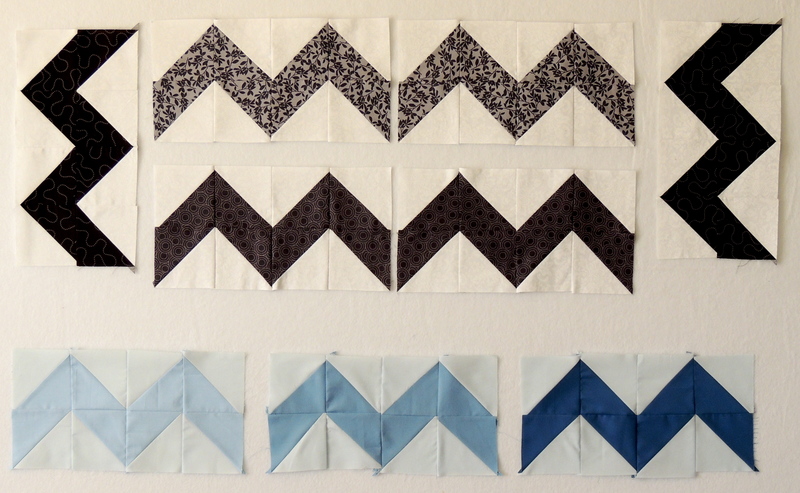 The six gray blocks will be used in a Full/Queen size quilt, combined with more gray, aqua, pink and yellow fabrics. The blue chevrons (with light blue backgrounds) will be used in a throw, combined with fabrics in whatever colors are next in the rainbow scrap challenge. If you remember the scrappy blue double chevron blocks I shared early (and a plan to use them in a smaller quilt) were repurposed into a large 10 by 15-inch scrappy oak leaf block when my vision for the rainbow scrappy quilt changed. 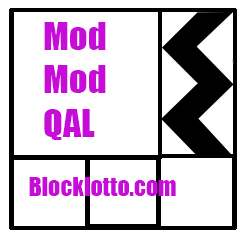 FYI, I added the link to the Mod-mod QAL post with the introduction and January info to the at-a-glance page to make it easy to find. I also tried to fix the code in that post for adding the badge to your blog. After too many attempts, I almost had it working perfectly, then completely broke it again. For whatever reason, what looks like the same code works on my blog. Go figure. I’ll let you know when (if?) I finally figure it out. Yay! CathyC sent me to a tool that gets it right. Thanks, Cathy.